Custom wall murals are a great addition to any room! Personalize your space with custom wall murals. 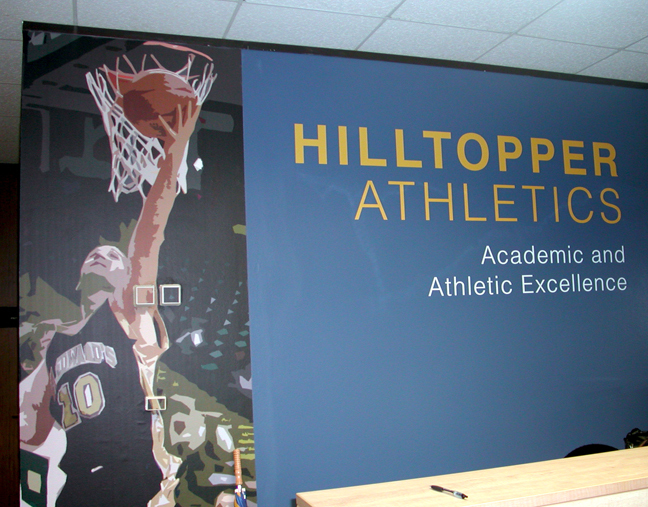 Our murals are a perfect solution for restaurants, corporate offices, museums, retail store promotions, athletic team murals, backdrops, fitness centers, hotel lobbies, and more! 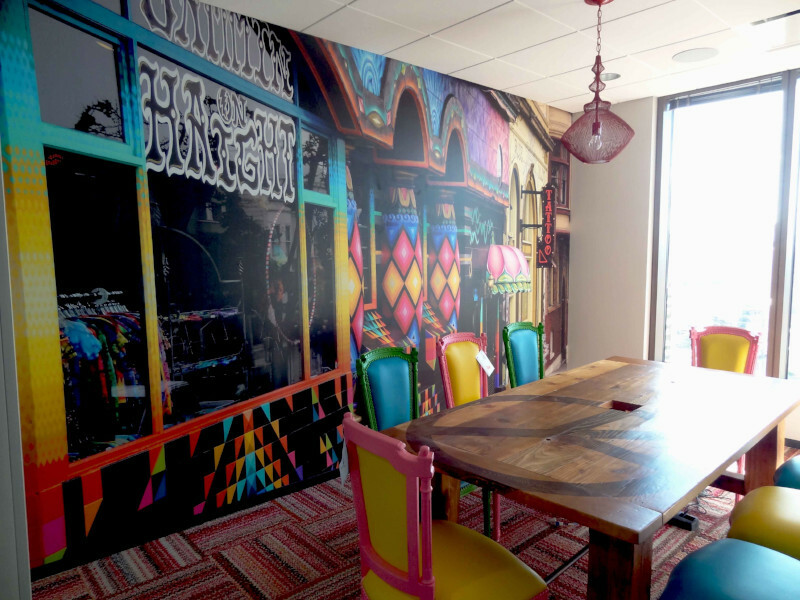 Take a look at our Wall Murals Portfolio here. Vinyl wall film is tough, flexible & scuff-resistant. Its removable adhesive allows for repositioning during installation. We have a short term or long term options. 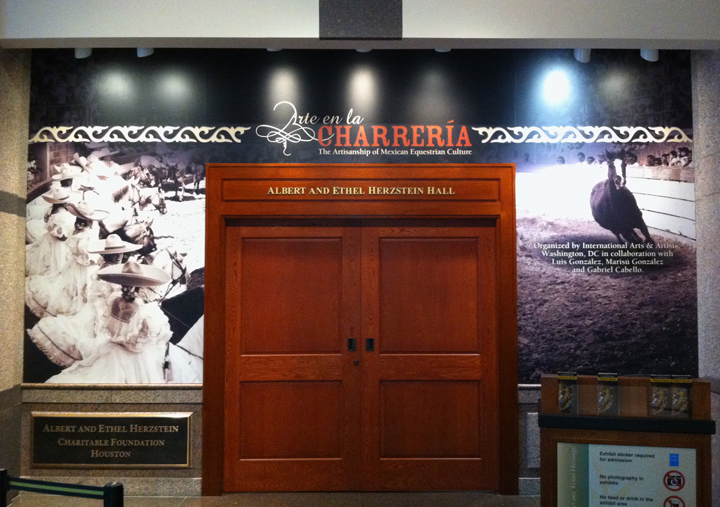 For long term applications, vinyl wall film can be laminated for protection against abrasion and UV. Adhesive backed fabric is removable and can be mounted to most surfaces and repositioned while retaining its adhesion without leaving a residue. Its unique opaque properties prevent translucency problems associated with comparable products. 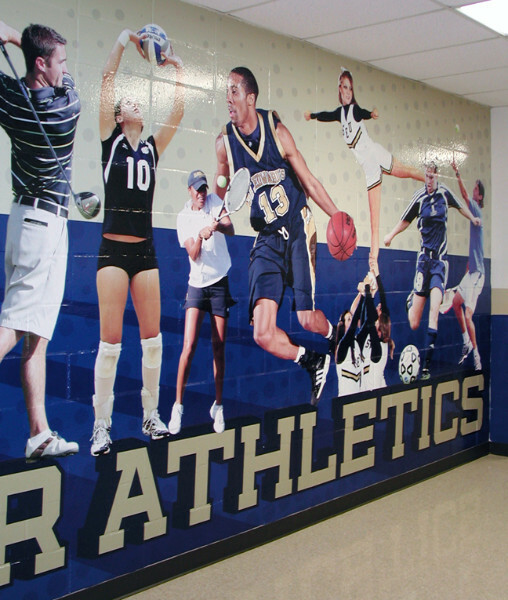 Our textured surface vinyl turns indoor and outdoor textured surfaces into prime real estate. It is designed to conform to moderately texured surfaces such as concrete, brick, industrial stucco, and tile and is removeable with heat. Outdoor durability is 6 months. Our pvc free wallpaper has an ultra-smooth finish with vivid color and high-definition detail. It is mold and mildew resistant and has an indoor display permanence of up to 20 years. It is flame resistant and is an FSC certified paper with 10% recycled content. When printed with our latex inks, it is GREENGUARD Children and Schools Certified and is virtually odorless.